It’s no secret that here at Inhabitots we adore our owls. If you have a penchant for owls too, or simply want to give a big hoot by keeping it ‘green’ this holiday season, then this post is just for you – chock full of beautiful, kid-friendly, eco-owl paraphernalia, perfect for gift giving. 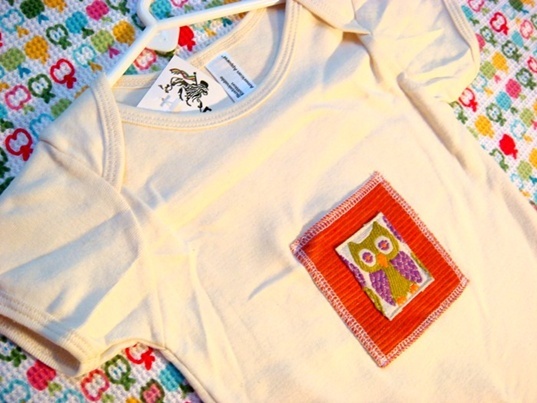 This super cute Organic groovy owlie baby shirt includes very nice detail on the owl patch, which shows up perfectly against the creamy color of the onesie. Plus, baby shirt maker, ragamufyn, has an entire shop stocked with owl goodness. Made with care using wool and eco-dyes by En Gry og Sif, this owl basket is more than pretty; it’s also a useful room accessory. 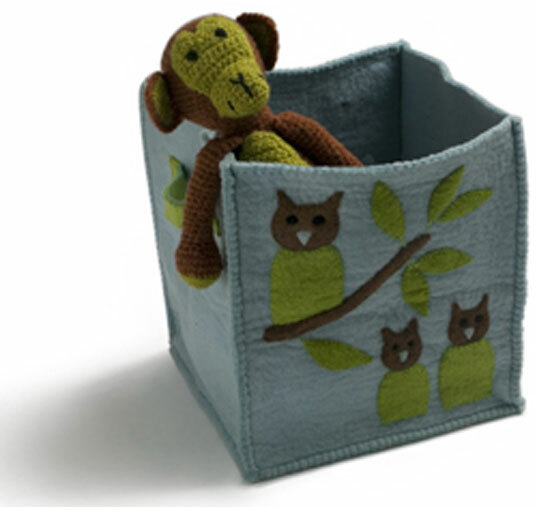 The Owl Wool Felt Storage Basket would look great on a bookshelf or near a bed, holding small stuffed friends. What’s a hoot-worthy holiday without an eco-friendly holiday card? These cards from the amazing Night Owl Paper Goods fit the bill. 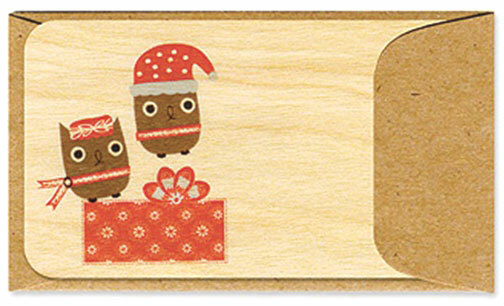 The Santa Owls card, is a real wooden gift card made from eco-friendly sustainably harvested yellow birch. And no worries, even though it’s wood, you can write your holiday message on it. These cards would also be super cute as place cards on your holiday dinner table. 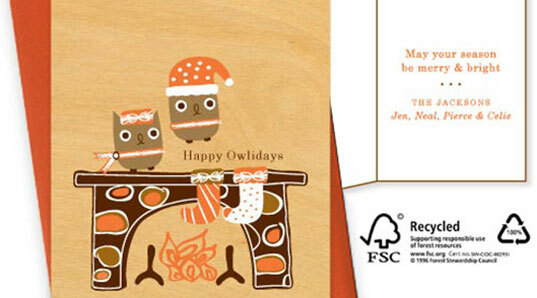 There’s also the Happy Owlidays card printed on 100% post-consumer recycled FSC Certified paper. You can even customize this card! BEST OF ALL: You can save some money on these adorable eco-cards. The good folks at Night Owl Paper Goods offered us a great checkout code on their products – Receive 25% off ALL ORDERS now thru Dec. 31st! :: Coupon Code friend08. And they also noted, “feel free to share with friends,” so if you know other owl loving folks, give them a hoot and holler. Of course we should mention our own adorable owl gear – Inhabitots organic baby tees and onesies. Ultra cute, organic, and hand-printed with eco-friendly, water-based inks, these give a literal holiday shout out with the tagline, ‘I give a hoot’. A great holiday gift for a child, and proceeds help support Inhabitots and Inhabitat. 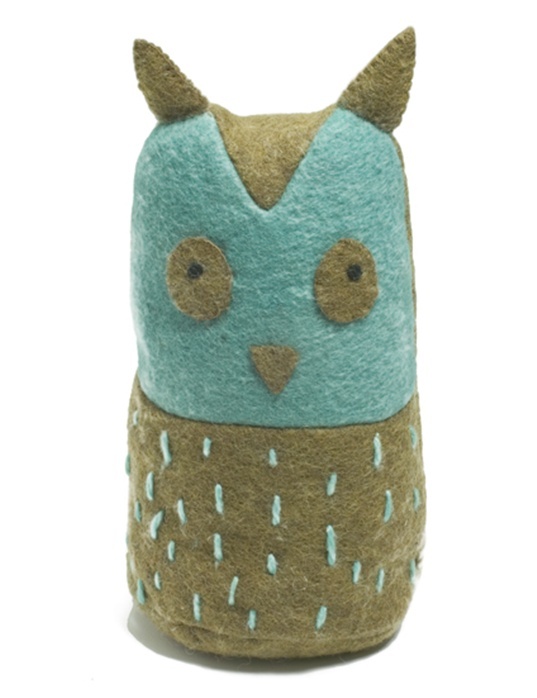 It's no secret that here at Inhabitots we adore our owls. If you have a penchant for owls too, or simply want to give a big hoot by keeping it 'green' this holiday season, then this post is just for you - chock full of beautiful, kid-friendly, eco-owl paraphernalia, perfect for gift giving.